Do You Know What's The Most Painful Thing In The World? Do you know what's the most painful thing in the world? 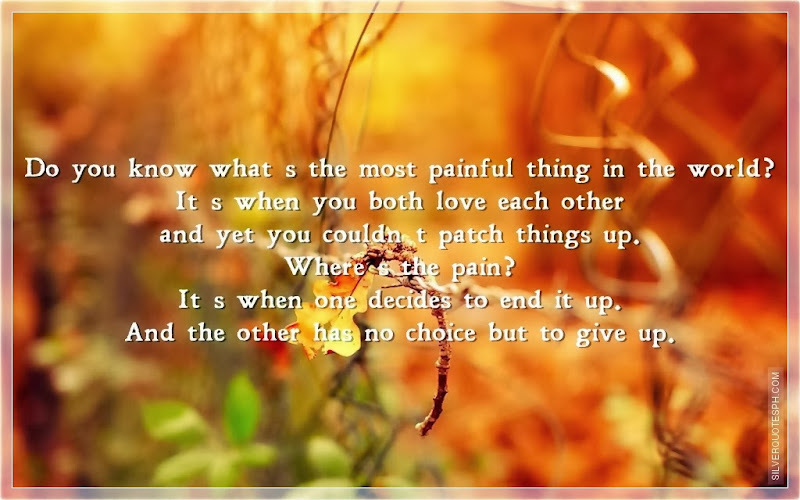 It's when you both love each other and yet you couldn't patch things up. Where's the pain? It's when one decides to end it up. And the other has no choice but to give up.